The sun shines down on the Algarve coast of Portugal, drawing the tourists onto the beach. In the nights, glittering parties light up the sky. Further inland, on the ramparts of a castle high in the mountains, a group of people sip wine and take in the view. This is the other side of Portugal- historic, warm, friendly and utterly gorgeous. And it is best experienced on a bicycle. In the north, the Alentejo vineyards stretch on and on, too stunning to be wasted zipping past in a car. The road is lined with cork trees, each with a unique sign painted on, waiting to be harvested every nine years. The road unfurls, inviting cyclists to pedal on. 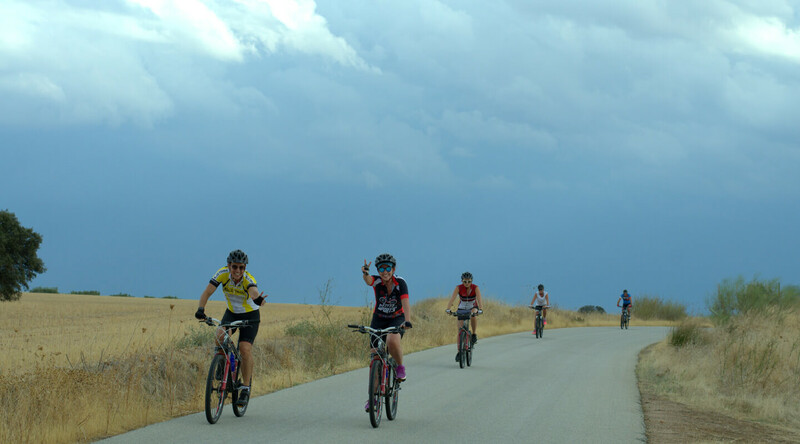 They cycle unencumbered – at the end of the day’s ride, their luggage will be waiting for them at their vineyard-hotels, along with the finest wine and a gourmet meal. Portugal is truly heaven for the immersive traveller. The locals are lovely hosts- an unplanned halt at a quaint village could lead to a hearty country meal and lively conversation. Many days, rides are from palace to palace, some of them so high up that you can look down on eagles in flight. Elsewhere, cyclists traverse the enchanting Vincentine coast, with the blue waters as their constant companion. Long picnics are taken in the Arrabida Natural Park, soaking in the scenery. There are meals in the little fishing villages that dot the coast and sunbathing on the golden sands. 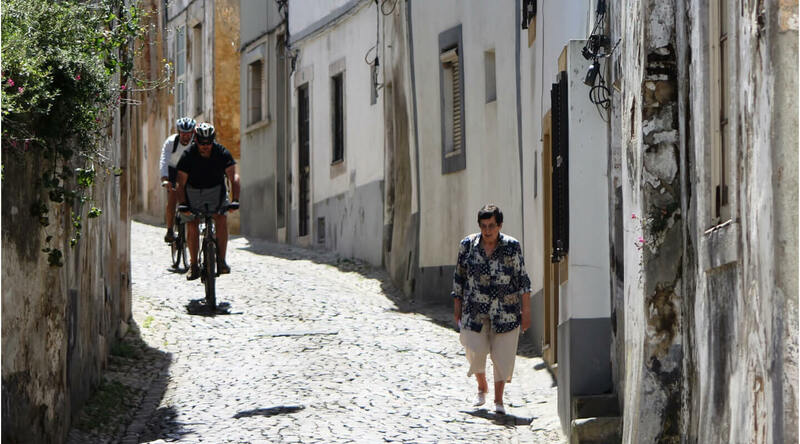 The UNESCO Heritage town of Evora draws in travellers. The pace is relaxed. 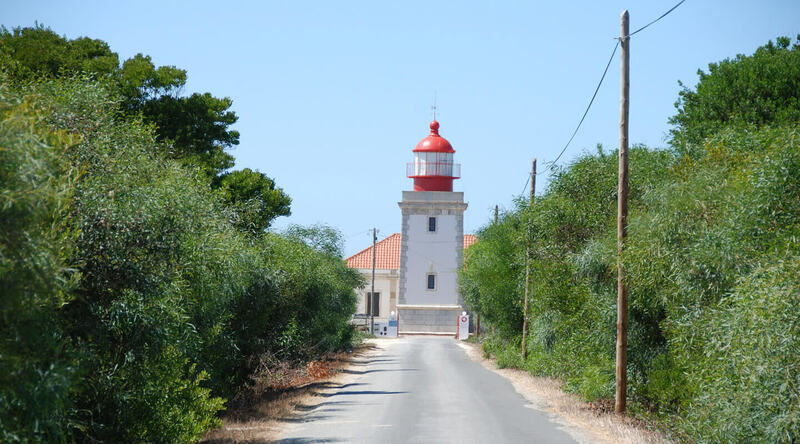 The hidden Algarve opens itself up to cyclists as they travel west to east, riding through quaint, narrow streets and between charmingly crooked rows of whitewashed houses. The cobbles are musical and you can feel weight of history in the air. 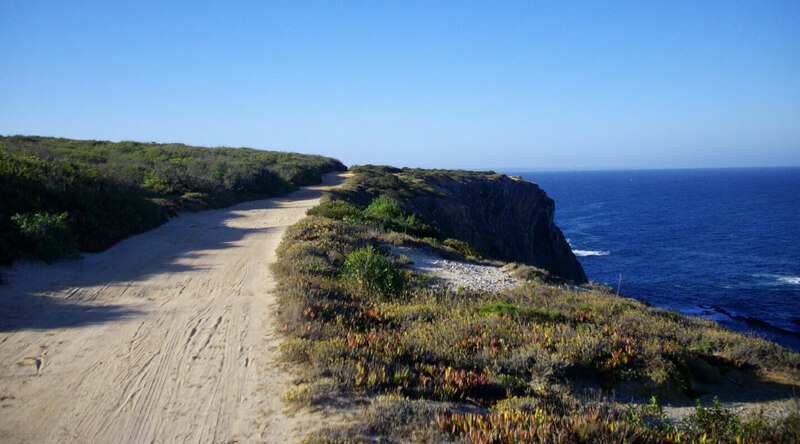 The Natural Park of Rio Formosa near Faro and Tavira offers views that take the breath away. Cyclists sometimes follow the scent of rosemary, climbing upwards to the lovely Monchique mountain range. Portugal is not large- the landscape, culture and architecture change every few kilometres. The pace of a bicycle is perfect, allowing travellers to soak themselves into the land. Even in the cities the bicycles are welcome. You’ll spot cheery travellers on two wheels all over Lisbon and Porto, relaxing on the sidewalk cafes, exploring wine cellars and pedalling idly along tiny lanes. Add to this the beauty of Sintra, the castles in the sky, the friendly locals and the fantastic Portuguese gastronomy and you have the perfect reason to pick up your helmet and go exploring.